COO Gwynne Shotwell revealed that about 7,000 people worked for SpaceX in late 2017, which means at least 700 people have lost their jobs. SpaceX isn’t answering questions about which departments they worked for or any details about compensation. They have, however, provided the following statement about why. To continue delivering for our customers and to succeed in developing interplanetary spacecraft and a global space-based Internet, SpaceX must become a leaner company. Either of these developments, even when attempted separately, have bankrupted other organizations. This means we must part ways with some talented and hardworking members of our team. We are grateful for everything they have accomplished and their commitment to SpaceX’s mission. This action is taken only due to the extraordinarily difficult challenges ahead and would not otherwise be necessary. Layoffs are typically a bad sign for a company that ideally should be expanding to take on all their new projects, but for SpaceX, the news isn’t necessarily an indicator the company is failing. Cutting off anything perceived as excess is very typical of CEO Elon Musk, who’s employed similar strategies several times before. Uncharacteristically, Musk has avoided the topic on Twitter and has instead been focusing on yesterday’s successful Falcon 9 launch from Vandenberg Airforce Base. 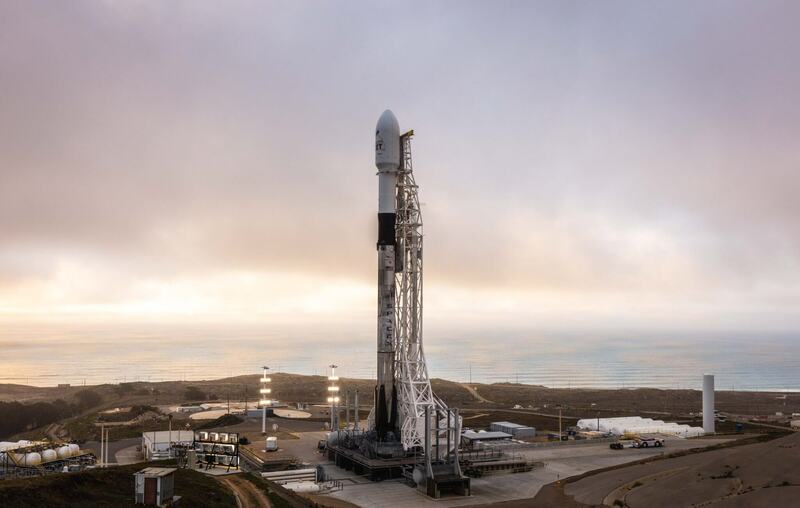 The first launch of the year, it’s also SpaceX’s last launch for Iridium, which could be related to the layoffs. Over the last two years, SpaceX has completed eight launches for a total of 75 satellites for Iridium’s $3 billion NEXT constellation. NEXT satellites can provide telecommunication services and track aeroplanes across the globe, making “the world’s first, real-time, truly global view of air traffic a reality,” according to Don Thoma, CEO of Aireon who provides the tracking tech. SpaceX’s telecommunication satellite network plan is expected to require 400 or so satellites, which could cost upwards of $15 billion if it costs as much per satellite as Iridium’s very similar network. Being optimistic, laying off hundreds of staff could potentially save SpaceX a couple hundred million dollars, which seems almost insignificant compared to the amount they’ll need in the next few years. Sounds like nothing less than what I would expect from Musk. Essentially, this is another thing he is walking back, IMO. I would not be surprised if he announces that he is going to pursue unicorns, which, of course, he will walk back. Yeah and to date nobody has successfully ridden a Unicorn to Mars but maybe we can convince Musk to give it a try! The sooner the better!!! wiyosaya and Dimitrios like this. Lots of negativity in the comments section. In general but especially towards Musk. Reehahs, H3llion and ForgottenLegion like this. It would be very romantic if Donald and little Kim got married and were the first people sent to Mars. Netflix, AmazonVideo this is your chance guy. A live reality show of a life time. Los of negativity in the comments section. In general but especially towards Musk. Many people here and elsewhere feel that Musk has gotten too much benefit of the doubt as well as federal money, and thus need to counter that with whatever they've got. This usually amounts to sour grapes words which is about the limit of what anyone can do in a public forum. Nobody with any kind of brain believed in this actor-puppet in the first place. He's a front man, a con-job, and never worked an honest day in his life. He's only hired on to tech companies to promote them and he can't even get that right anymore. mbrowne5061 and wiyosaya like this. a con-job, and never worked an honest day in his life. That can be said for all the top ten percent-ers. So Musk is definitely not alone. Are you going to become the third musketeer in TechSpot's Hate Group for Musk? He's already in it, we just haven't picked a date for the official ceremony. It's Techspot, it's a standard practice to be irrational & talking with your arse. It could be that they no longer require certain job positions due to various reasons such as; automation, competition of projects which required job role X,Y,Z, consolidating job descriptions etc. If you can save money and spend it elsewhere, then you will do it. This could be positions such as (assuming they don't outsource) individuals in the web team, content creators, video editors, cleaners, parts of engineering that is no longer required... you get the point. Now if they are letting-go of "valuable" employees of important positions such as core-engineers, then that is a bad sign indeed. Musk has been doing a lot of that himself recently, so we're just trying to keep up. Even the SEC agrees with me about that! I'll bet you wouldn't be so cavalier if it was your job that was eliminated. wiyosaya and captaincranky like this. He's a front man, a con-job, and never worked an honest day in his life. He's only hired on to tech companies to promote them and he can't even get that right anymore. How does such a person get where he is without working an honest day in his life? By that logic the people of this world who hold the money are also the stupidest. Just forking it over to Musk and his cronies for apparently no reason. I see no cause and effect here, only sour grapes. How did Rasputin get away with passing himself off as a monk? The longer answer is that Musk is also a charismatic. He does hold a bachelor's degree in physics. That said, in that field, a bachelors degree is not a whole hell of a lot past high school. Most of the people in that field doing the heavy lifting have doctorates. Musk quit after getting his basic degree in physics. The way I see it, he knew would make a lot more money bullsh!tting his way through the business aspect of the field, than being the guy in the lab making the actual actual breakthroughs, who is forced to surrender his patents to his employer, since they supplied his income and funding. Musk has come up lame in so many of his endeavors it is absurd. But at the end of the day, Musk's true successes are in the world of finance, him being one of the founders of "PayPal". What PayPal does, at its most basic, is taking a cut of money being transferred from one hand to another. And that's what Musk is truly good at. If running his mouth making fantastical predictions of the great things he's going to, (and mostly failed at), accomplishing, then yeah, you're completely correct, he's been busting his a**, all these years. Pardon me for saying, but did he NOT build, from the ground up, a working reusable rocket? Did he NOT build, from the ground up, an electric car that has displaced both the Camry and Accord as America's most sold Sedan? Is Musk an ***? Sure. But that's how you have to be to build a business, especially ones that require that much capital. According to Business insider https://www.businessinsider.com/bes...-in-2018-2018-8#3-toyota-corolla-149805-95-18 Tesla isn't even in the top 20. BTW, fully equipped copies of the model 3 are running about 70 grand. You could buy 2 Toyotas or Hondas for that money. (Or one of each, obviously). He hasn't built squat. He has however, developed a following of the severely mentally challenged, who believe that he should be the god they pray to. As for the "reusable booster", that's actually an outgrowth of current fly by wire systems. With increased computer capacity, come the ability to fine tune control movements. For example, here's the computing power that was onboard our Apollo moon missions: https://en.wikipedia.org/wiki/Apollo_Guidance_Computer In reality, the Atari 2600 game console was punchier. (you may want to fact check that). Was America's space program wasteful? Yes. But OTOH, Musk has sucked all of the developments that it achieved, out of it like a tick on NASA's a**. First, you have to save fuel to land, which limits payload. So, you oversize the rocket or downsize the payload. Either way, the money saved goes into Musk's pocket. Jul 19, 2015 - First, NASA doesn't really manufacture rockets. But, that aside, the SpaceX Falcon uses LOX (liquid oxygen) and RP-1 (kerosene) for its propellants. This is not a new thing. LOX/RP-1 has been used in rockets for more than 50 years. Musk is glib, and he is charismatic, both being hallmarks of a sociopathic personality. If you want to worship him, be my guest. Just don't think you'll ever get me "onboard" his Mars mission (Either figuratively or literally).. You know, the one for which he was modeling the space suit. Which is something we old timers used to deride by saying, "whats the matter you're all dressed up, and it seems like you've got no place to go". At number 15, the Toyota Prius. Ouch! I wonder, how does Musk live with himself? Really? I thought it was your life's ambition to become a Muskonaut! Gates and Bezos, off the top of my head. Both humble beginnings, put together from their own hard work, that spiraled into something larger than probably even they hoped for. Musk on the other hand has just been riding PR wave to PR wave, getting himself stock options at valuable companies. Hardly the same kind of path to money. I would tend to question the assessment of Gates - https://www.quora.com/Whats-the-story-behind-the-guy-Bill-Gates-bought-DOS-from which is the basis for much of what M$ became, and, as I see it, not much hard work there. As I see it, there is always more to such stories. Note you went with "fully equipped", which puts the Model 3 more in line with luxury sedans, and not the Camry/Accord. It's performance matches it's price. Now, if you want to argue that ALL luxury cars are a waste, go ahead. But that's not what you're doing; you're using it's fully loaded price to argue the purchase is unjustified. Funny, to me, only his detractors call him god. At the end of the day, he built a re-usable rocket, and he built a mass-produced electric car. That's a hell of a lot more then "squat". As for the "reusable booster", that's actually an outgrowth of current fly by wire systems. Yet, no one else does it. And don't try and compare to the AGC; one operates in a zero-g environment, the other weighs a couple tons more and has to deal with gravity, wind resistance, and, you know, landing. First, you have to save fuel to land, which limits payload. Provably false; fuel is a hell of a lot cheaper then the cost of the stage. And payload capacity of the heavy will be bested only by the Saturn V.
But, that aside, the SpaceX Falcon uses LOX (liquid oxygen) and RP-1 (kerosene) for its propellants. This is not a new thing. LOX/RP-1 has been used in rockets for more than 50 years. ...and? Nothing wrong with going with what works. So yeah, you have your opinion, and invented a bunch of false points in an attempt to prove yourself correct on an internet forum. Great job. mbrowne5061 and captaincranky like this. You don't really have any. Tesla being the top "sedan", is wrong. I trust the established sources on the web, more than some Techspot noob, looking to start an argument. Note that its base price is also well above either of the cars you mentioned, and it's getting higher by the day with the tax credits for buying one drying up. Then too, Tesla figured out they can't stay in business selling them at the fantasy prices Musk tweeted them at. Put your game controller down for a moment and listen. I said nothing about luxury cars being wastehul. As I understand it, they're supposed to be wasteful.. The higher you go in the range, the more wasteful they're supposed. Would "egomaniacal leech" sit better with you? Oh come on, the Saturn V is 50 years old, not to mention "Falcon Heavy" is 3 Falcon rockets strapped together. In premise, it's like a 13 year old putting 3 bottle rockets together with masking tape. In case we're trying to call.that a new concept as well. You know, a lot of people in forums have either disliked me because of my scree name. They think of me as nasty, when I'm really here for the laughs. One particular prejudice I have, is when somebody announces they're a "gamer" with their alias. The associations I make is that many gamers, (no saying you, as I don't want the post pulled) are pretty often mouthy, trash talking internet bullies, with little grasp on reality. Hell, wasn't it the gaming community that came up with the SWAT-ting tactic. If I wanted to publish false information, I'd say Musk started it. So, it's really juvenile to publish false information and then declare yourself the winner. Americans love trucks. So much, in fact, that the best-selling vehicles every month for as long as we can remember have all been pickups. That didn't change last month, either. First through third places fell to familiar faces, though there were a lot of changes in the rest of the top 10. Looking over the gains and losses of each vehicle, it's clear that crossovers are continuing to take the place of sedans as the family car of choice in America. It's also important to remember that General Motors reports sales differently than every other car manufacturer that sells cars in America, choosing to release figures quarterly instead of monthly. That means the Chevy Silverado and Equinox appear on this list once again after a couple of months of unknown sales figures. This story was last updated on January 7, 2019. If you want any more info, feel free to look it up, and don't waste any more of my time. ...[ ]...Really? I thought it was your life's ambition to become a Muskonaut! Why? Just because I pleasure myself over his portrait, doesn't mean I want to go to Mars with him. Pleasuring yourself over Musk's portrait? Now why did I not think of that? And next time, I promise, I'll PM. What, no mention of the 100MW South Australian battery farm that he got built in under 100 days, that solved a states power issues during peak hours (and even helps other states) cost roughly 90million to make and has already generated 27million in revenue during the first year of operation? Computer boots (most of the time) and then cuts out after 1-3 hours.